Step out of San Carlos de Bariloche to go to Villa La Angostura and see Rio Correntoso, which is approximately 1h 25 min away. 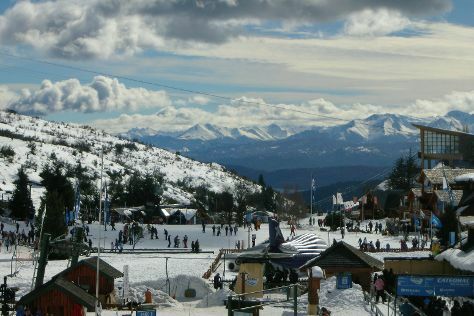 On the 15th (Thu), spend an exhilarating day on the slopes at Piedras Blancas. There's still lots to do: stroll through Catedral Alta Patagonis, examine the collection at Museo del Lago Gutierrez, head off the coast to Isla Victoria, and hike along Circuito Chico. To see reviews, where to stay, photos, and more tourist information, use the San Carlos de Bariloche travel route planning app . August in San Carlos de Bariloche sees daily highs of 9°C and lows of 0°C at night. Finish your sightseeing early on the 17th (Sat) to allow enough time to travel back home.